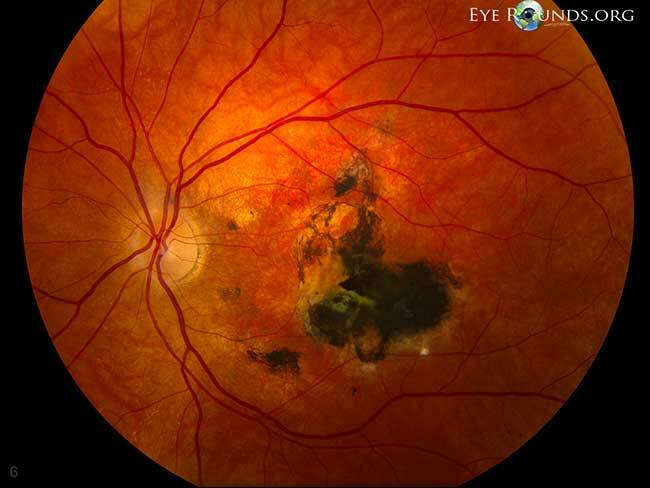 Sorsby macular dystrophy is an autosomal dominant condition caused by a mutation in the TIMP3 gene. 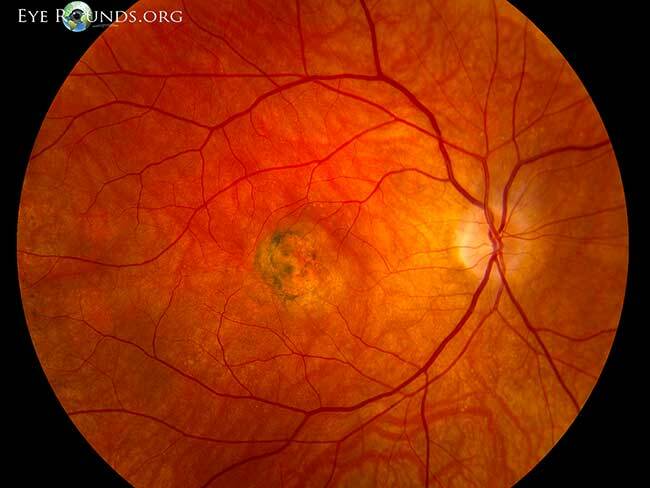 Patients with this condition typically maintain normal acuity until their 40's when they develop severe, bilateral choroidal neovascular membranes. The macular lesions later have a "pseudo-inflammatory" appearance with geographic atrophy and dense clumps of black pigmentation, as seen in these photographs.